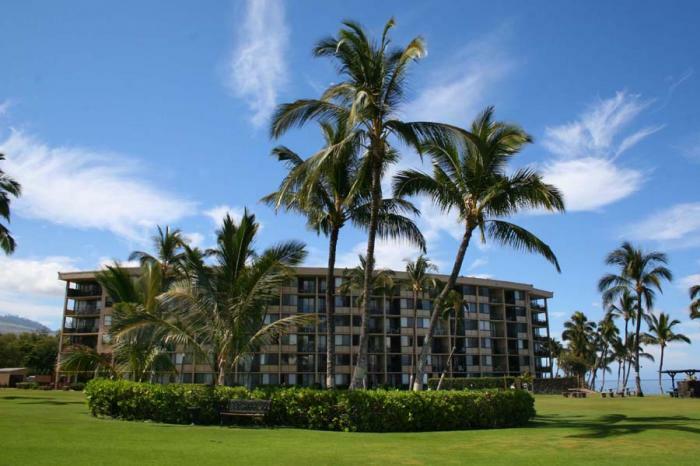 Enjoy the luxury of seaside living at Kihei Surfside located in South Kihei, Maui. Feel the warmth of the natural Maui trade wind breeze that will soften your soul while you listen to the sound of the surf. Kihei Surfside is an oceanfront property that has stunning views of the glistening Pacific blue. The property features an immaculately kept lawn area, with a heated swimming pool and communal BBQ facilities. Snorkel, swim or relax at Keawakapu beach, which is one of the most beautiful beaches in South Maui. Play at the most incredible world-class golf courses nearby in Wailea and Makena. Get on board for a fun filled ocean adventure at the Kihei boat ramp conveniently located just next door or head out to the deck chairs for sunbathing and relaxing in this beautiful ambiance.